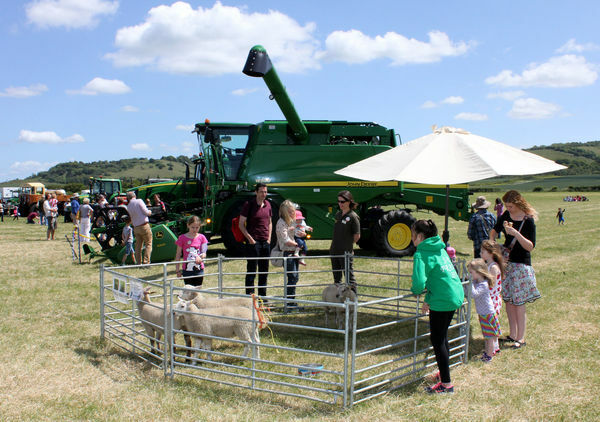 John Deere is once again supporting Open Farm Sunday as the machinery sponsor for this year’s event, which takes place on June 10th, 2018 and has as its theme ?The Great British Farm Day’. Organised by LEAF (Linking Environment And Farming), Open Farm Sunday will see hundreds of farmers across the country opening their gates to the public to help them discover the world of farming, from how farmers grow crops for food, clothing, medicine and fuel through to the science and technology behind British agriculture. Since its launch in 2006, Open Farm Sunday has seen two million people visit a farm and learn about the vital work farmers do. Last year, 91 per cent of visitors surveyed said that they were more appreciative of the work farmers do, and 89 per cent said they felt more connected to the farmers that produce our food. Critically for farmers, 73 per cent said they now actively look for British produce to buy since visiting a LEAF Open Farm Sunday event. A series of Open Farm School Days also run throughout June. They provide thousands of school children with the opportunity to visit a farm to learn more about where their food comes from and how it is produced. More information about Open Farm School Days can be found at www.farmsunday.org. The LEAF website provides lots of features and resources to help host farmers put on a safe, engaging and enjoyable event and help inspire their visitors about all aspects of farming. John Deere contributes to this by producing 35,000 information leaflets for visitors to take home, with content for both adults and children, highlighting the latest John Deere technology and featuring some useful industry facts. In addition, many dealers and John Deere staff support individual events with the loan of machinery for tractor rides or static display, or by helping host farmers and talking to visitors about John Deere’s advanced technology and its role in helping farmers to produce quality food for home and abroad. Further details of the event are available on the Open Farm Sunday website or you can follow @OpenFarmSunday on Twitter (#OFS18) or on Facebook at LEAFopenfarmsunday, while several promotional videos are also available to view on YouTube.